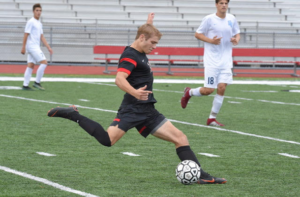 Expectations are always high for Foxes boys’ soccer, and this year is no different, despite facing the arguably toughest schedule in program history. 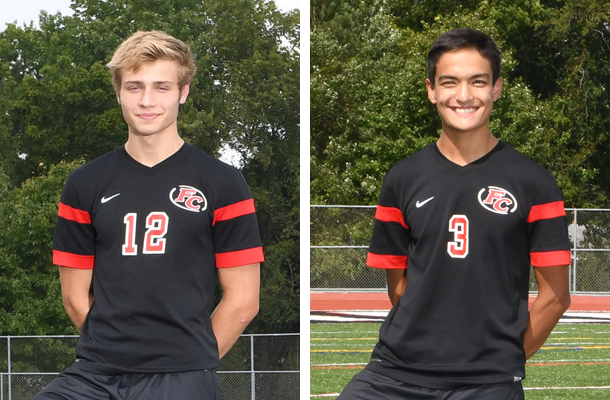 But two juniors, Josh Miller and David Shin, have proven to be outstanding on defense and are making the big plays that they hope will earn the team another trip to the WPIAL 4A playoffs. Josh, all-section and All-WPIAL picks last year as a sophomore, is known as a very physical and aggressive player and excels as one of the WPIAL’s best in the air. He’s also demonstrated great capability of winning balls on the ground. 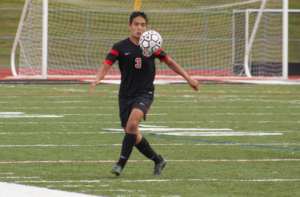 “I see my role as following our coaching, keeping the team together, and not letting the ball into our net,” says Josh, a natural athlete who began playing soccer when he was four-years-old and loved it from the start. He also is a dual athlete who spends the winter wrestling. David has spent a great deal of time honing his game to become the player he is today. He hit the gym to improve his physical strength, worked a lot on his endurance, and dedicated extra practice time to take his 1 v 1 defending to a new level. That focus – and his success – came as a result of a disappointment he experienced when he was 12-years-old. The experience the coach is looking for seems to be coming as the season progresses. They went into October riding on a four-game winning streak, have five shutouts for the year, and have had nice victories versus Central Catholic, Mt. Lebanon, and Penn-Trafford. “To get to the playoffs again, we just need to shake some bad natural habits. When we do that, we work the ball around the field really well,” Josh says.